NEW West Perth president Neale Fong says he’s excited and honoured to be taking on the new role and looking forward to unifying the club. The former West Perth player and experienced football administrator was confirmed as the Falcons’ new boss tonight. The WA Football Commission announced its former chairman Fong as president and the new board to include 1960 premiership player and inaugural Dockers chairman Ross Kelly as vice-president. Fong said he was “looking forward to pulling everyone together” after the club had “been through a difficult period financially”. “It’s a great club, it’s a great area (Joondalup); we have the world at our feet,” he said. Fong, who has more than 20 years’ corporate board experience, will be joined by two members of the old board – outgoing president Scott Ballem and director Peter Cutler who has overseen the club’s football operations. Other appointments include former West Perth board member Jim Caffieri, chartered accountant Sam Modica, who undertook the recent financial review of the club, and media identity and life-long Falcons supporter Paul Murray. WAFC chairman Murray McHenry said the new board members had demonstrated strong passion and commitment to the success of West Perth and would bring strong credentials to its governance. “These appointments bring a balance of strategy, governance and operational support that will help provide certainty for West Perth’s future after what has been a difficult time for the club,” he said. Former Falcons president Brett Raponi said the club was fortunate to have a person of the calibre of Fong. “In my time as president and when Neale was chair of the WAFC, he always actively vested strong support for West Perth, the WAFL and community footy,” Raponi said. “I am delighted he is returning to West Perth at its helm.”The confirmation of the new board ends the voluntary administration process undertaken by KordaMentha. McHenry thanked KordaMentha and the previous West Perth board for completing the process and in particular, their efforts in raising about $250,000, critical to the future success of the club. 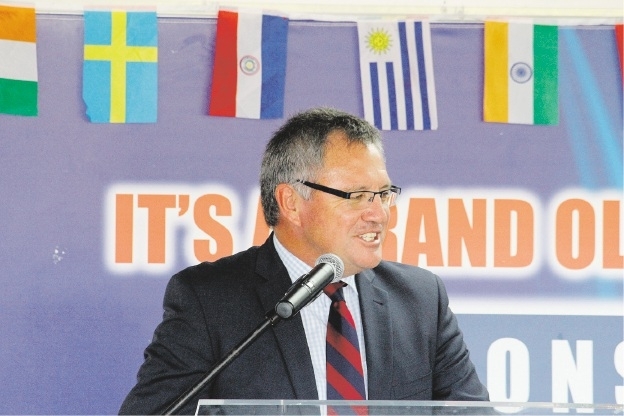 “Through the hard work of KordaMentha it has been clearly established that the situation is not the result of one person’s actions or an isolated incident and has highlighted opportunities to implement good governance and secure new revenue streams for the future,” McHenry said. “It’s important to note that these changes reflect no culpability on behalf of the departing board members,” he said. To support the club, a new finance and risk committee will be established and overseen by WAFC commissioner and former Kingsley MLA Cheryl Edwardes. She has been appointed as an external observer, as per the WAFC’s $250,000 loan conditions, to support and oversee the effective financial management of the club. A fundraising and sustainability group will also be formed to help secure long-term revenue streams. “We will be working with all members of the new and previous board and other key supporters of West Perth Football Club as their ongoing support of the club will be critical to its future success,” Mr McHenry said. “It is very important to WA football that we work together to maintain West Perth’s rich history and support the growth and development of football in the northern corridor of Perth. “It is also important to note that under the DOCA proposal, the WAFC has not provided any additional funds to West Perth. The WAFC has provided a loan of $250,000 which was offered to support the club during this difficult period. The WAFC operates within funding constraints and we have a very disciplined approach to balancing the funding needs of all WA football, from grassroots to the WAFL.